How Can Sleep Improve Your Health? One of the first benefits that you will experience by getting proper sleep is improved moods. When you are providing your body the rest it needs, you will wake up feeling more refreshed, happier, and ready to take on the day. Our health care professionals in Texas can help you get this sleep. One of the main reasons why it is so important to get regular sleep is because it can help prevent a variety of serious and life-threatening health conditions. These conditions include dementia and cancer! It will also help strengthen your immune system to prevent more common conditions such as the flu or cold. Getting proper sleep will help improve your mental health. Lack of sleep can actually reduce your IQ, hence, getting sleep is very important! With proper sleep, you will have more concentration, focus, a better memory, more alert, and much more. It will also help prevent dementia. It does this by flushing out the amyloid plaque that is created as a waste product when your brain cells communicate. Lack of sleep can lead to depression and other mood disorders. However, this can be prevented by making sure that you are sleeping properly on a regular basis. Depression is a serious illness that’ll affect every aspect of your life but getting proper sleep, can help you prevent and overcome it. Those are just a few of the many things that you will want to keep in mind when it comes down to the benefits of sleep, especially on how it facilitates for a better and healthier living for you. 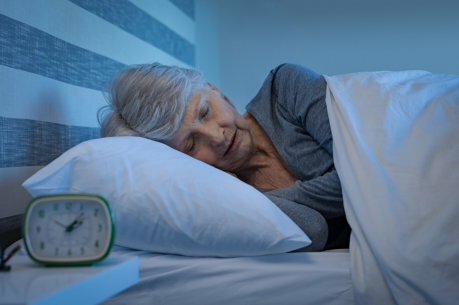 If you would like to find out more about this and how our home health care in Fort Worth, Texas can help you get the sleep you need please feel free to get in touch with our staff at All Care Professional Home Health, Inc. for more information today. This entry was posted in Sleep and tagged benefits of sleep, health care, healthier living, mental health, prevents depression. Bookmark the permalink.